The police are responding to some form of an incident in the South Road, Southampton area, with multiple police vehicles and officers attending the scene. Details are limited at this time, however we will update as able. Update 9.19pm: We unofficially understand that there was a firearm incident in the Southampton Rangers area, and initial reports suggest someone may have been injured. Update 9.33pm: Bystanders suggest two people may have been injured. 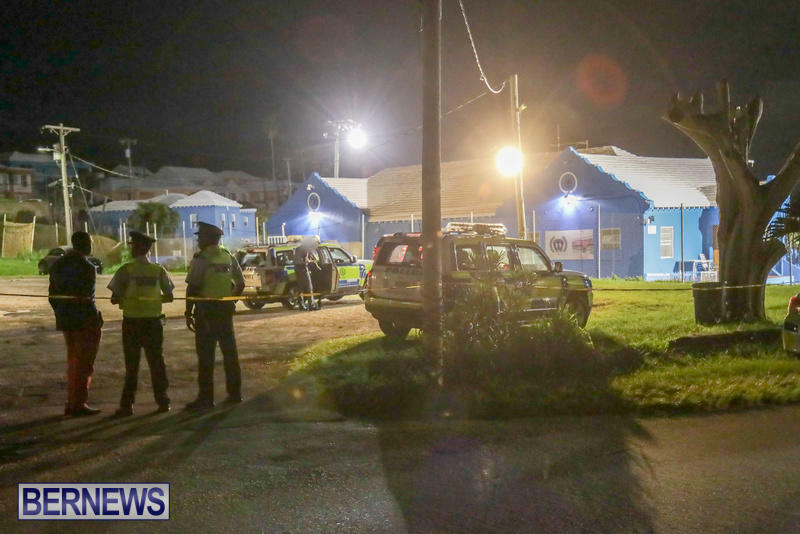 Update 9.35pm: Police Media Manager Dwayne Caines confirmed that a shooting took place, and said that a male and female have been injured. 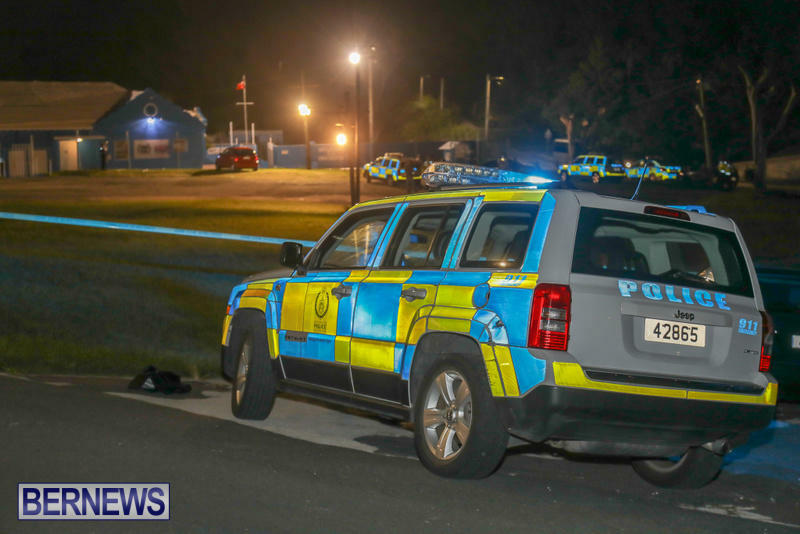 Mr Caines said, “Police responded to a report of a firearms incident that took place outside of the Southampton Rangers Sports Club at 8:32pm on Friday. 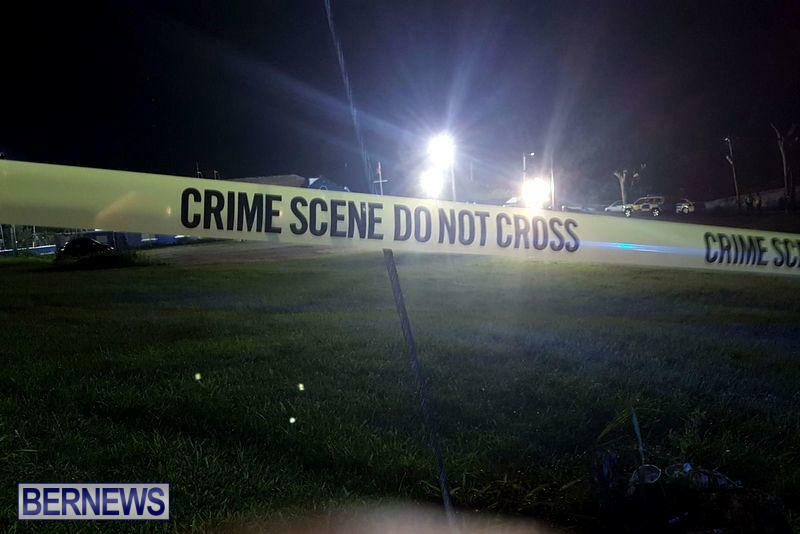 “Details are still emerging, but it appears that a male on a motorcycle rode into the parking area of the club and discharged a firearm. “As a result two individuals, a male and female were shot. Both victims were transported to the hospital where they are being treated for injuries that do not appear to be life threatening. Prayers for peace. I hope they have a quick recovery, physically and emotionally, it must have been absolutely horrifying. I’m done with politics, stay outta my space and my yard! When politicians claim to have the answers, blame the other guys and say they are going to fix the problem, the voters trust and believe them. So, when they don’t deliver on their promises, you get these kind of comments. Didn’t anyone knock on your door last election? It is not the place… it is the ignorance of people. Yes, prayers do work. I am witness to that. May I ask what you are praying for? And to whom you are praying to? jesus etc – you do all know that, right? C’mon, tell me none of you actually believe it? The problem in a faith based system as opposed to a scientific/fact based system is nothing can be logically proven. Just because you see something change after you pray does not mean that prayer did anything at all to bring about that outcome. There is simply no way to conclusively prove that prayer works. There have been eons of sincere prayers that are most probably doing absolutely nothing. And why should they? The whole concept has no basis is reality. Only in hope. I assume that you have been indoctrinated into this thinking. In a faith based system, faith and hope are used to ascribe results to certain actions. In a fact based system, actions need to analyzed to make a precise determination that those actions actually cause a specific result. Just because something happened after prayer does not mean prayer had anything at all to do with it. Our island should be looking beyond our current cultural norms of handling social problems. We will have more success. Especially with young people who can feel very differently about the way the world works. Your right praying just makes people think they are doing something and therefore they get away with doing nothing! There is no god, but hey no reason to worry about that we have science and reason and all the wonders of the world and a great living passion for progress and humanity. Pasta Beans will be leading a prayer group at S. Rangers tomorrow. There’ll be a collection plate passed around – naturally. If only Pasta Beans could get these ‘youngsters’ a job. That would fix EVERYTHING right? This will never stop, what happen to the old Bermuda. Guns is what happened and a lack of faith and love in Our Creator and each other. Young people all over the developed world are walking away from traditional religions, their deities and their social pronouncements. They just don’t believe In them. We need new solutions that do not involve old failed methods. You just explained the reason behind the decline in humanity right there! Ignorance is bliss and blinding. Believe in something or fall for anything. GOD IS LOVE <3 Thou shall not KILL!!!!!!!! You shouldn’t call your self family man…. The continuing gun violence in Bermuda is so heart-breaking. The “old Bermuda” I grew up in was certainly not perfect, but I could never have predicted the level of gang activity, violence and murder that we have seen in the past 20 years. Religon has nothing to do with the violence. Its people like Sheelagh Cooper who have screwed our childrens upbringing. You can’t give your child a hiding, but the child can beat you up in more ways than one. Stevie, you ever consider the reason they may be violent gang members is cos parents like u screwed them up by being violent, un nurturing, unloving and too busy to parent properly and yes, beating them???????? ?maybe that’s why the child beats u up…and sheelagh Cooper has to clean up the mess!!!!! Sorry lame excuse…That did not stop my parents (all four of them) raise us (all 9 of us) and we had plenty of licks along the way (ages 46 – 25yrs old) all law abiding citizens. Take responsibility for your own seed!! They are a reflection of you if you raised them right – they would not want to bring shame to the family, especially their parents. You can tell when a child respects their parents and moreso when they don’t! As we see today! They just don’t care. Stop trying to be your kids friend AND stop being afraid of your own seed. Sad times in these Devils Isles! Keeping the Faith regardless that He will prevail over Evil! I’d never eat at that restaurant next to that hell hole of a Club. If they don’t want to get psychological help which some of them really need because of there home life take the gloves off.Start really harassing these cowards on every block everyday, show up at their girlfriends house to conduct interviews so their parents know who they are dating and hanging out with and most likely hiding their guns and drugs. There are old and young dating these guys put the pressure on them. for the Wankersters Show up at their parent houses ask them if they need a social worker because something must be wrong in there household. The same way police can be Ninja lol when it come to hiding to catch speeders they can do the same thing and track the movements of these bums. They have cost Bermuda to much and stop falling for these weak lines “where agree we don’t have no Jobs” man please stop babying these cancers. And for those that who don’t know what a Chicken (Project Pat) or Wankerster (50 cent) is don’t google go to youtube. These infestation might be in your house weed them out. Parent do your jobs or get help.